This week, OMRF opened its doors to a group of budding young scientists representing 17 elementary schools from the Putnam City school district. These students were participants in the annual Putnam City Junior Scientist Days at the Oklahoma City-based biomedical research institute. This is one way OMRF says thank you to the PC school district, whose students, teachers and parents have raised nearly $4 million for cancer research at OMRF. 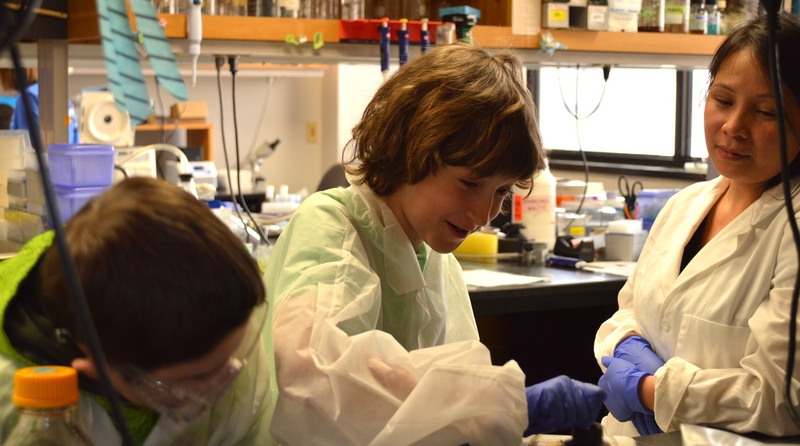 Each student participating in Junior Scientist Days is chosen to represent an elementary school in the PC district. Other students got to suspend and mix DNA, some observed blood vessels, and other watched tiny worms race under a microscope. The funding has helped support numerous projects, including research that helped develop an experimental treatment for a form of brain cancer currently in clinical trials at the Stephenson Cancer Center.